Impress with the beauty of 16 oz. Arctic Acrylic Tumblers with your logo. Double wall, screw on lid BPA free plastic tumbler with lid and straw. 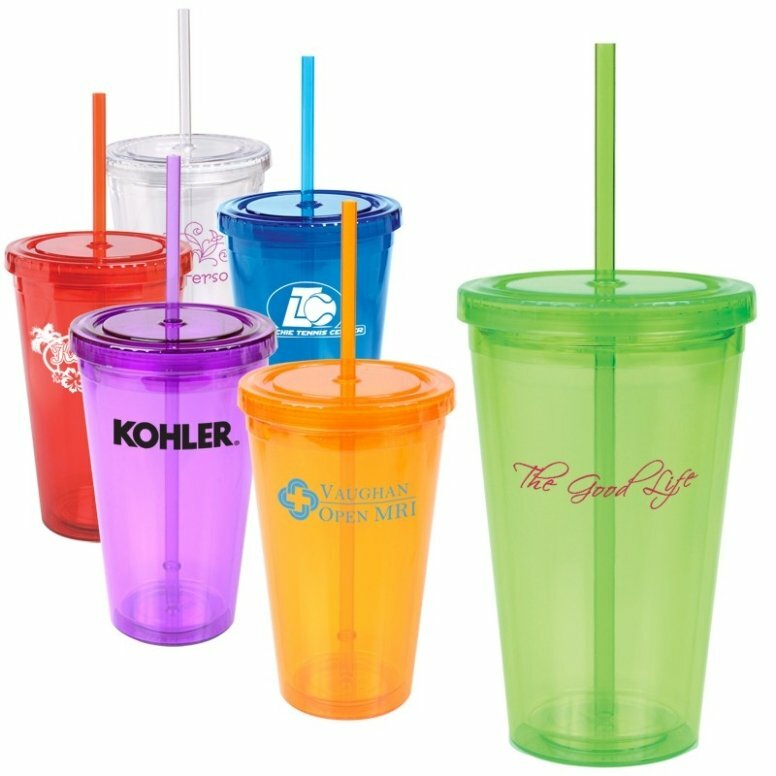 Personalize the tumbler by the color you choose and custom printed. Purple, Red, Blue and Water Clear for your powerful presentation. Acrylic tumblers apps personalized tumblers, advertising, events. Overall size is 6 1/4 H x 3 7/8 dia. Buy lots of 25 units over min. Price includes a one color imprint on one side 3" w x 3" high. one side only add $55 setup & a run charge $.55 each.